05/30/18 Volkswagen group of america, inc. (volkswagen) is recalling certain 2018 volkswagen tiguan long wheel base (lwb) vehicles. the nut that holds the lower ball joint of the front wheel on each side of the vehicle may be loose or improperly tightened. A loose or improperly tightened ball joint nut can result in the separation of the lower ball joint causing steering, traction or other stability issues, increasing the risk of a crash. Volkswagen has notified owners, and dealers will replace the nut on the lower ball joint, free of charge. the recall began may 30, 2018. owners may contact volkswagen customer service at 1-800-893-5298. volkswagen's number for this recall is 40n4. note: owners are advised not to drive their vehicle until the recall repair has been performed. 03/26/18 Volkswagen group of america, inc. (volkswagen) is recalling certain 2018 tiguan long wheel base (lwb) vehicles. the engine support bolts on these vehicles may not have been properly tightened. If the engine support bolts were not properly tightened, an unexpected engine breakdown or loss of engine power may occur, increasing the risk of a crash. Volkswagen will notify owners, and dealers will replace engine support bolts, free of charge. the recall began march 26, 2018. owners may contact volkswagen customer service at 1-800-893-5298. volkswagen's number for this recall is 10f7. 02/28/17 Volkswagen group of america, inc. (volkswagen) is recalling certain model year 2017 audi a7, a4, a6, volkswagen golf and tiguan vehicles and 2016 volkswagen e-golf vehicles for driver frontal air bags, passenger frontal air bags or head air bags that may not deploy properly. additionally, certain 2017 audi q7, a4 sedan, a4 allroad, and 2018 audi q5 vehicles are being recalled because the seat belt pretensioners may not activate properly. 01/03/14 Volkswagen group of america, inc. (volkswagen) is recalling certain model year 2009-2011 tiguan vehicles manufactured july 2007 through june 2011. due to a problem with the fuse for the exterior lights, the holder for the fuse that controls the vehicle's exterior lights circuit may melt. If the holder melts, there may be a partial loss of exterior lighting. reduced vehicle illumination diminishes the vehicle's visibility, increasing the risk of a crash. Volkswagen will notify owners, and dealers will replace the fuse, free of charge. owners may contact volkswagen at 1-800-893-5298. volkswagen's recall number is 97z9/2v. 08/19/14 Engine Volkswagen group of america, inc. (volkswagen) is recalling certain model year 2009-2014 tiguan vehicles manufactured july 2007 to june 2014. when using winterized fuel, in certain conditions bubbles may form in the fuel system which could result in the vehicle stalling. 05/30/08 Engine Volkswagen is recalling 4,079 my 2008 passat and 2,500 my 2009 tiguan passenger vehicles equipped with 2.0t fsi ulev ii engines. these vehicles have an engine control module (ecm) containing software that may not properly control engine idle with the air conditioning turned on. in rare cases, the ecm may unexpectedly increase engine rpm. An engine surge caused by an unexpected increase in engine rpm may surprise the vehicle operator and can result in a crash without warning. Dealers will inspect and update the ecm software free of charge. the recall began on may 30, 2008. owners may contact volkswagen at 1-800-893-5298. Volkswagen recall no. 24m9/r7.customers may also contact the national highway traffic safety administration's vehicle safety hotline at 1-888-327-4236 (tty 1-800-424-9153), or go to http://www.safercar.gov. If the lower loop of the rear shock absorber detaches, there may be a loss of vehicle control, increasing the risk of a crash. Volkswagen will notify owners, and dealers will inspect the rear shock absorbers, replacing them as necessary, free of charge. the recall began may 30, 2018. owners may contact volkswagen customer service at 1-800-893-5298. volkswagen's number for this recall is 42i7. 05/30/18 Electrical and Air Conditioning Volkswagen group of america, inc. (volkswagen) is recalling certain 2017-2018 tiguan limited vehicles. the front driver air bag installed on these vehicles may not be intended for use in vehicles sold in the united states. as such, these vehicles fail to comply with the requirements of federal motor vehicle safety standard (fmvss) number 208, "occupant crash protection." In the event of a crash, the incorrect air bags may not protect the driver as intended, increasing the risk of injury. Volkswagen will notify owners, and dealers will replace the steering wheel and front driver air bag module, free of charge. the recall began may 30, 2018. owners may contact volkswagen customer service at 1-800-893-5298. volkswagen's number for this recall is 69v2. 12/15/17 Electrical and Air Conditioning Volkswagen group of america, inc. (volkswagen) is recalling certain 2018 volkswagen tiguan long wheel base (lwb) vehicles. the back-up lights in the taillight assemblies may not be bright enough. as such, these vehicles fail to comply with the requirements of federal motor vehicle safety standard (fmvss) number 108, "lamps, reflective devices, and associated equipment." If the back-up lights are not bright enough, other drivers may not see the vehicle reversing, or the driver may back into an obstacle, increasing the risk of a crash. Volkswagen will notify owners, and dealers will replace the affected inner taillight assemblies, free of charge. the recall began december 15, 2017. owners may contact volkswagen customer service at 1-800-893-5298. volkswagen's number for this recall is 94j9. 02/28/17 Electrical and Air Conditioning Volkswagen group of america, inc. (volkswagen) is recalling certain model year 2017 audi a7, a4, a6, volkswagen golf and tiguan vehicles and 2016 volkswagen e-golf vehicles for driver frontal air bags, passenger frontal air bags or head air bags that may not deploy properly. additionally, certain 2017 audi q7, a4 sedan, a4 allroad, and 2018 audi q5 vehicles are being recalled because the seat belt pretensioners may not activate properly. 07/15/16 Electrical and Air Conditioning Volkswagen group of america, inc. (volkswagen) is recalling certain model year 2015 volkswagen tiguan vehicles manufactured january 15, 2015, to january 21, 2015, and 2015 audi q5 vehicles manufactured january 13, 2015, to february 3, 2015. the affected vehicles are equipped with driver and front seat passenger seat-mounted air bag inflators that may rupture in the event of a crash. In the event of a crash necessitating deployment of a seat-mounted air bag, the inflator could rupture with metal fragments striking the driver or other occupants resulting in serious injury or death. Volkswagen will notify owners, and dealers will replace the side air bag modules, free of charge. the recall began july 7, 2016. owners may contact audi customer service at 1-800-822-2834 or volkswagen customer service at 1-800-893-5298. volkswagen's number for this recall is 69m1 (for audi) and 69l9 (for vw). 01/15/16 Electrical and Air Conditioning Volkswagen group of america, inc. (volkswagen) is recalling certain model year 2010-2014 volkswagen cc, and passat, 2010-2013 eos, 2011-2014 golf, gti, jetta, and tiguan, and 2012-2014 jetta sportwagen vehicles. in the affected vehicles, debris may contaminate the air bag clock spring, a spiral wound, flat cable that keeps the air bag powered while the steering wheel is being turned. this contamination may tear the cable and result in a loss of electrical connection to the driver's frontal air bag. 01/03/14 Electrical and Air Conditioning Volkswagen group of america, inc. (volkswagen) is recalling certain model year 2009-2011 tiguan vehicles manufactured july 2007 through june 2011. due to a problem with the fuse for the exterior lights, the holder for the fuse that controls the vehicle's exterior lights circuit may melt. 08/22/16 Other Volkswagen group of america, inc. (volkswagen) is recalling certain 2016 cc vehicles manufactured january 12, 2016, to february 3, 2016, golf r and tiguan vehicles manufactured november 25, 2015, to january 28, 2016, and e-golf vehicles manufactured november 25, 2015, to january 11, 2016. vibrations, such as those created by opening and closing a vehicle door, may cause the rear child door locks to disengage, allowing a child to open a rear door while inside the vehicle. If an unrestrained child unexpectedly opens a door, they may fall from the vehicle increasing their risk of injury. Volkswagen will notify owners, and dealers will inspect, and if necessary, replace the child lock(s), free of charge. the recall began on august 22, 2016. owners may contact volkswagen customer service at 1-800-893-5298. volkswagen's number for this recall is 58c9. 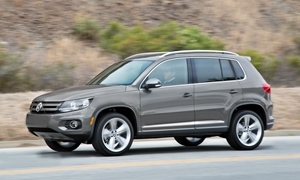 06/12/15 Other Volkswagen group of america, inc. (volkswagen) is recalling certain model year 2015 tiguan vehicles manufactured january 22, 2015, to march 20, 2015. these vehicles may be equipped with certification labels that are missing the required tire pressure information and they may state incorrect weight and loading information. as such, these vehicles fail to comply with the requirements of 49 cfr part 567, "certification." If the labels have incorrect weight and loading information, the operator may overload the vehicle which could cause vehicle instability, increasing the risk of a crash. Volkswagen will notify owners, and dealers will correct the information on the certification label, free of charge. the recall began on june 12, 2015. owners may contact volkswagen customer service at 1-800-893-5298. volkswagen's number for this recall is 01a5. 12/31/69 Other Volkswagen group of america, inc. (volkswagen) is recalling certain 2012-2016 eos, 2012 passat, 2012-2016 cc, 2015 e-golf, 2011-2015 touareg, 2012-2015 tiguan, and 2011-2016 golf and 2011-2013 gti vehicles. modifications made while the vehicles were in an internal evaluation period may cause the affected vehicles to not comply with all of the applicable regulatory requirements. If the vehicles do not meet all regulatory requirements, there could be an increased risk of a crash, fire, or injury. Volkswagen will notify owners, and dealers will repair the vehicles to make them fully compliant or volkswagen will repurchase them if necessary, free of charge. the recall is expected to begin july 13, 2018. owners may contact volkswagen customer service at 1-800-893-5298.